Insider Publications offers a unique platform for marketers and agencies to reach the international community living in Greece and international tourists visiting the country. In six languages in print and online, Insider Publications publishes the ONLY luxury, foreign language magazines in Greece covering culture, fashion, gastronomy, shopping, travel and leisure. With an equal readership among both sexes and over 60% of them belonging to the 34 to 55 age group (22% in the 25-34 category), Insider Publications reaches out to a section of premium clients untouched by the Greek press. With an estimated 20 million tourists visiting Greece every year and an English-speaking international community residing permanently in the country totalling 750,000, Insider Publications is the primary source of information for this target group. 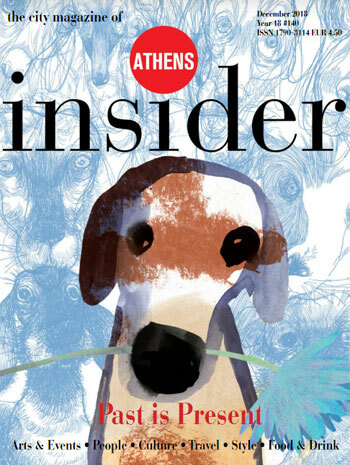 45,000 readers rely on Athens Insider every month for insider’s tips, information, news and reviews and 20,000 readers consider Bonjour Athènes as their guide to find out what’s going on. Other than our flagship magazine in English, Athens Insider and the quarterly published Bonjour Athenes, we also have annual editions targeting premium tourists interested in luxury shopping in Chinese, Russian, Turkish and Arabic. Our new projects include Insider Weekly, a joint-venture with the International New York Times and Kathimerini – a weekly supplement in print and on-line and an upgraded, interactive new website, powered by a strong search engine in English, French, Russian, Chinese, Turkish and Arabic. Airport Lounges: Available in business class (???) lounges at El. Venizelos International Airport including Olympic Airways, Lufthansa, British Airways, Swiss, Air France-KLM and Global Air. Newsstands: 300 foreign-language newsstands in Athens. Embassies and private clubs: All major embassies subscribe. Also the Ekali Club, the Marine Club, and the Piraeus Yacht Club receive Insider each month. Subscriptions: A large, loyal and growing subscription base of 6,000 subscribers. For more information, consult our media kit. Tap into the audience, the flexibility and the creativity of Insider Publications to execute the very best print and online marketing campaigns. For more information about advertising opportunities Contact us.